The objective of the book has been to present an appropriate in-depth knowledge of the disease process. Oral disorders occurring either primarily or as manifestation of systemic disorders. Special emphasis has been made on pathogenesis and diagnostic pathology so that the integration and factual coordination makes clinical application possible. 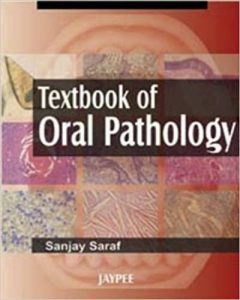 This textbook has 21 chapters which are provided with appropriate schematic diagrams and photomicrographs. Pathogenesis of each disease has been described in detail. Chapter on forensic dentistry has been included. There are auxiliary chapters consisting of glossary of difficult words, list of syndromes, references for suggested reading and classification.